Proceedings were taken 20.01.1866 for being open out of hours. Convicted 10.12.1880 of allowing drunkenness. Fine 10/- plus 17/6d costs. Convicted 28.07.1881 of allowing consumption out of hours. Fine £1 plus 7/- costs. Convicted 27.10.1915 of failing to close against soldiers. Location given as St. Benedict's Gates when an adjoining three storey Dwelling House was sold here by auction, Thursday 10th February 1853. Address as Valentine Road in 1856. 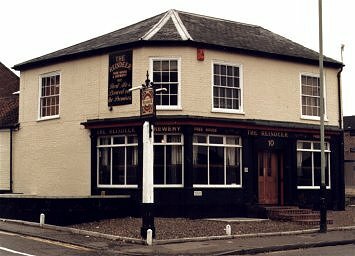 Reopened as a freehouse December 1983. Home of the Wolfe Brewery 1986 to November 1995. Purchased by the Firkin chain and renamed the FINNESCO & FIRKIN. Reopened during second week of March 2018. Looks as if entrance was once on the corner of building.